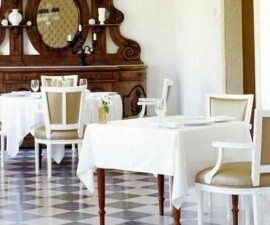 Ze Manel dos Ossos Restaurant is a hidden gem in the Coimbra gastronomic bible. It is literally hidden away, a real hole-in-the-wall restaurant that is nestled into a tiny side street in the downtown area of Coimbra, Portugal. 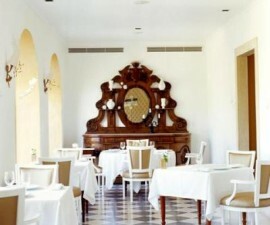 It is a must-visit eatery if you are staying in Coimbra, both for its convivial atmosphere and its delicious food. 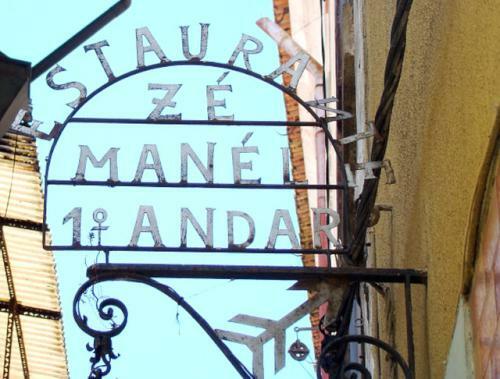 Eating at the Zé Manel dos Ossos Restaurant is an experience from start to finish — and one that a good many diners, both locals and visitors, are keen to repeat again and again. You need to be in the right place at the right time, however, because Zé Manel dos Ossos fills up the moment it opens from a crowd lined patiently on the street outside, and remains full to bursting until it’s time to lower the shutters on another memorable evening in this romantic city in northern Portugal. 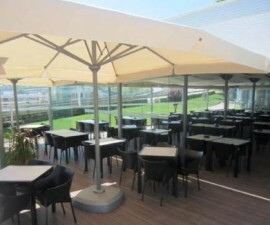 Opening time is at 7.30pm and, if you want to be sure of a table, it is well worth arriving half an hour before this — a great opportunity for people watching and taking in the sights, sounds and smells of Coimbra in summer, but understandably less appealing if you are unlucky enough to hit the rains. But whatever the weather, the chances are that by the time the doors open you will have made friends with most of the crowd, ready to enjoy a party atmosphere at the instigation of your jovial host. The food is in no way compromised however. In fact, Zé Manel dos Ossos Restaurant serves some of the tastiest food in Coimbra at highly competitive prices. Typical dishes on offer include pork, goat and offal, as well as fresh fish and seafood dishes such as octopus, sea bass, sea bream and sardines. 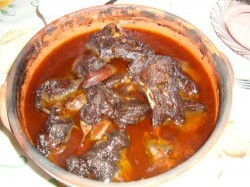 All dishes are accompanied by a selection of potatoes, rice or beans. Try the wild boor stew for a taste of something special. Don’t forget to leave a message or picture for the owner on a napkin — he will tape it to the wall along with his large collection, ready to be enjoyed by the next evening’s visitors. Payment is by cash only, so do remember to visit the cashpoint before you eat at Zé Manel dos Ossos Restaurant, though your meal certainly will not break the bank. Furthermore, it will leave you with rich memories of your visit to Coimbra, Portugal, that will remain fresh in your mind for a long time to come.